Mascoutah ranch in prime location. 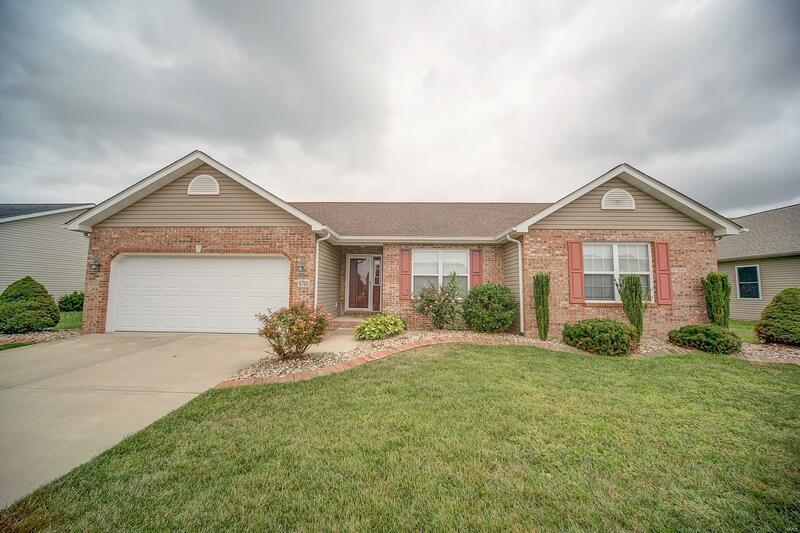 This 3 bedroom, 2 bath home is ready for new owners. New carpet throughout--2019. Enter into the massive living room with vaulted ceiling that opens to the dining area and kitchen. Dining area has french doors that lead to back yard and patio. No rear neighbors as the yard backs up to open ground! Kitchen has a wrap around counter, pantry and vaulted ceiling to give a very open feel. Laundry room sits off of the kitchen. Main floor master bedroom suite is spacious and has a full bathroom and large walk in closet. There are an additional two bedrooms and another full bathroom to finish off the main level. Lower level is unfinished however with bathroom rough-in and egress windows it would be easy to finish if you desire. Radon mitigation system in place as well as Nest thermostat. Call today to see this beauty! Buyer to verify all information.